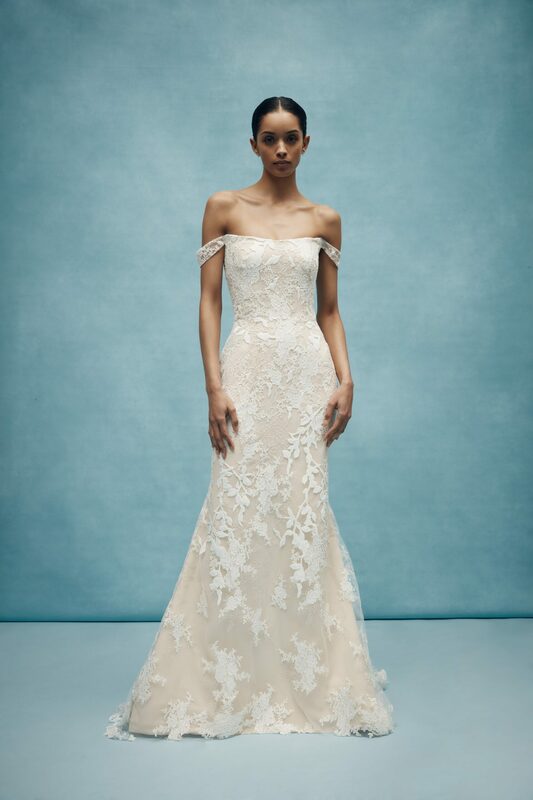 The serene romance of the past and cutting-edge sophistication of the contemporary are intertwined in the Anne Barge Spring 2020 collection. Inspired by the brand’s Southern roots, this season’s concise collection of gowns are infused with a fresh modern vibe putting a spin on old world charm. 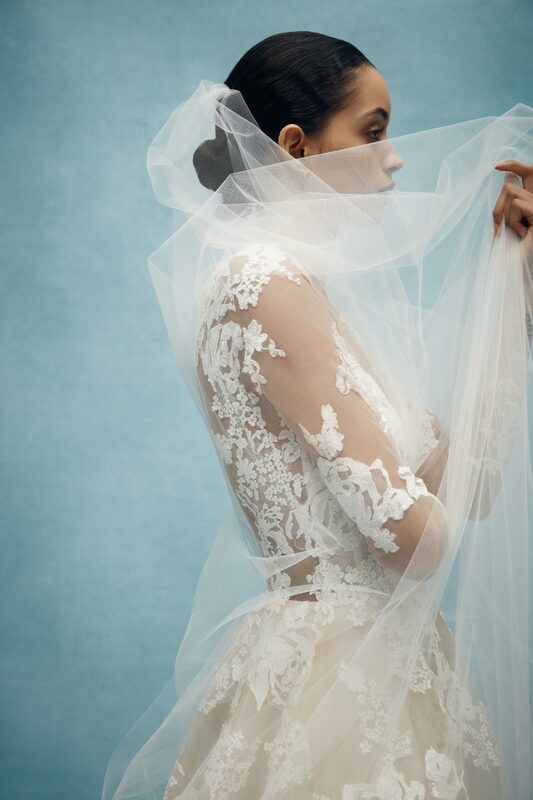 Gowns are carefully crafted with Mikado scuba fabric, fine lace, crepe, and bustier details that elevate traditional bridalwear to make a modern statement. 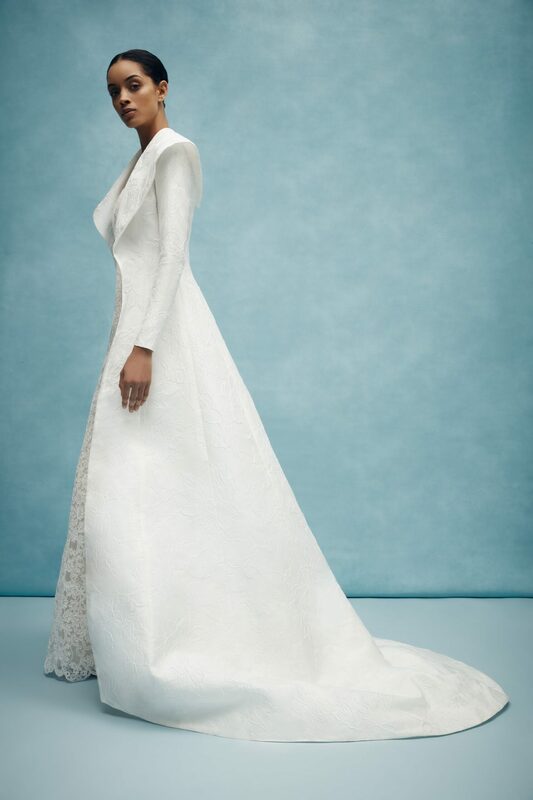 Romantic re-embroidered lace gowns bloom with off-the-shoulder floral brocade capes and coats. Clean contemporary silhouettes sculpt the female body for the most figure flattering fits. 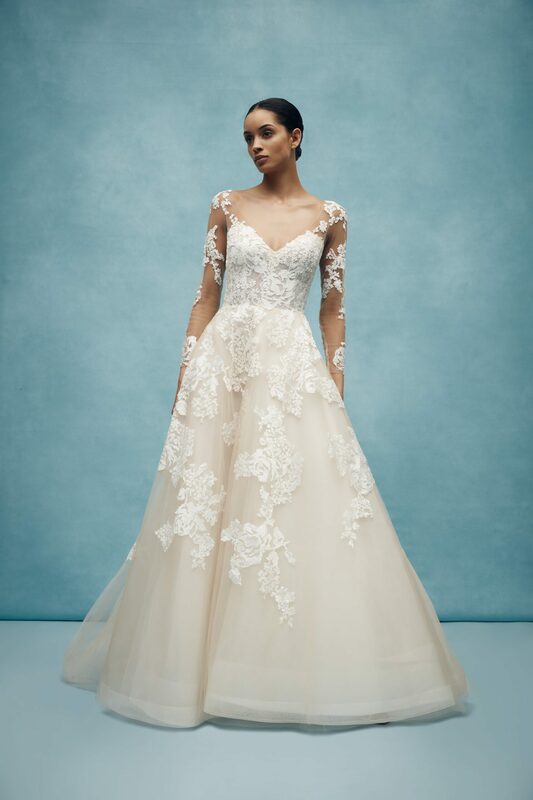 Dramatic corset bodices, mermaid skirts, and princess tulle with lace appliqués add an ultra-femme touch, while intricate seaming adds a layer of depth and luxury. 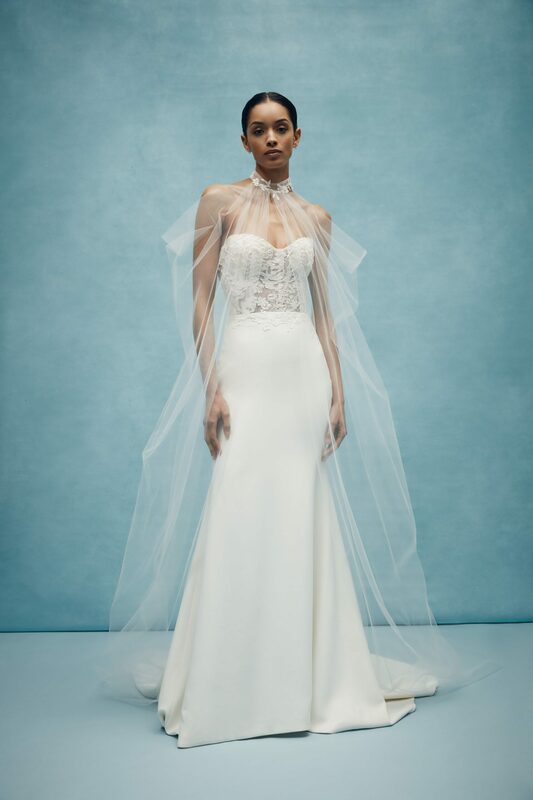 The dreamy details of the Spring 2020 designs pay tribute to Anne Barge’s signature aesthetic while simultaneously celebrating the present-day bride.